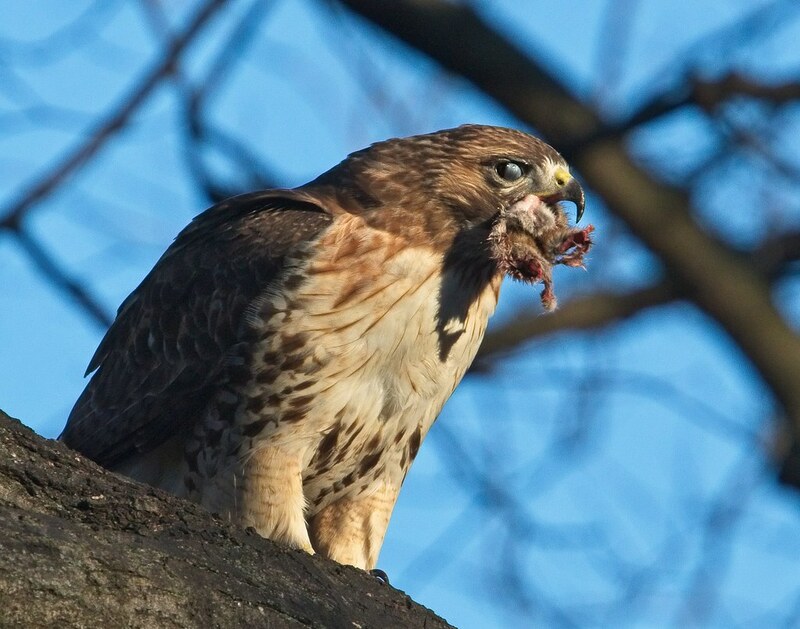 It was another busy weekend for raptors around Tompkins Square. Below are highlights from Saturday. 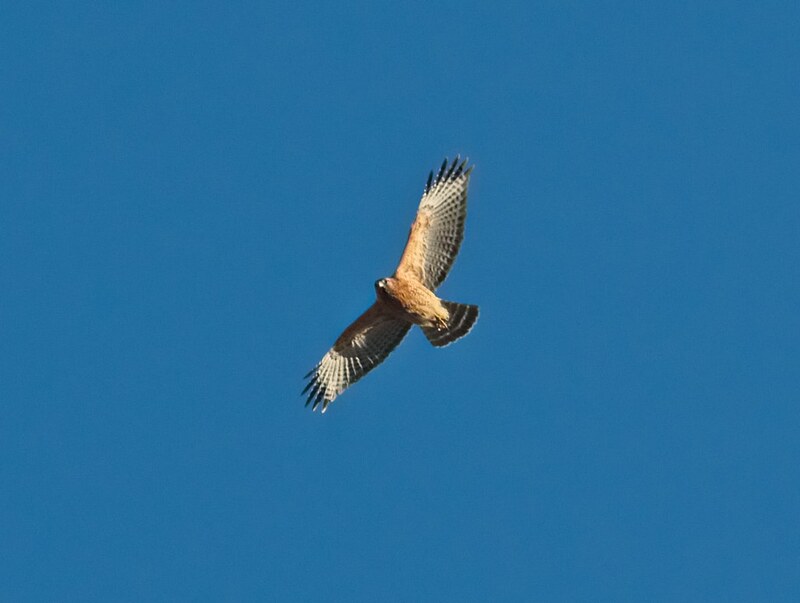 The biggest surprise was this adult Red-shouldered hawk, who sailed over the park, made a brief circle, and then was gone. I've never seen one in the neighborhood before. Late in the day, Christo appeared and quickly caught a rat. I thought Christo ate the rat unusully fast, and maybe he had good reason to do so. 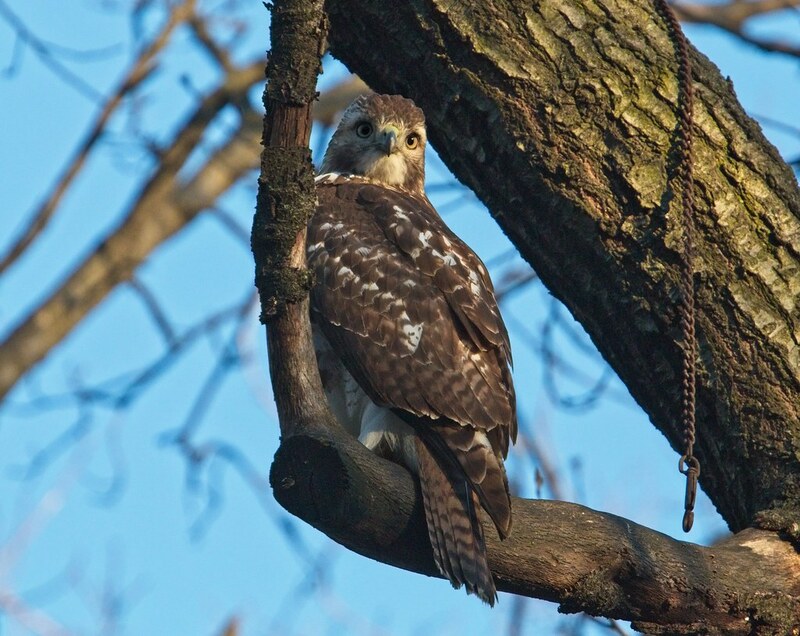 As soon as he was done, this young red-tail flew into the same tree where Christo perched. 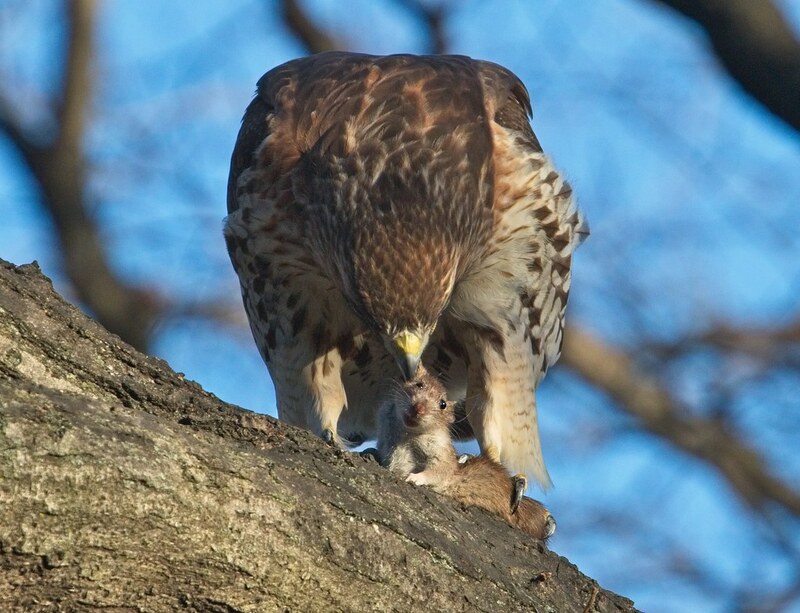 After doing some comparison of the tail, and judging by the way Christo behaved towards this hawk, I believe it's the same one who has been hanging around the park for at least a week. Christo is oddly tolerant of this one and, instead of attacking or chasing off the youngster, Christo just bristled his neck feathers and flew away. A few minutes later, Christo reappeared alongside Nora on top of the Christodora building. 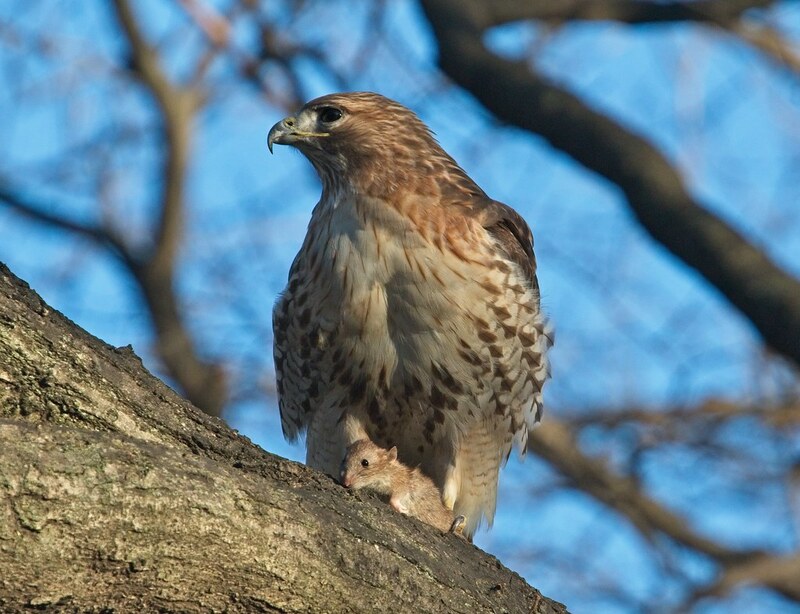 Neither of them made a move to chase away the immature red-tail, who was still in the park. 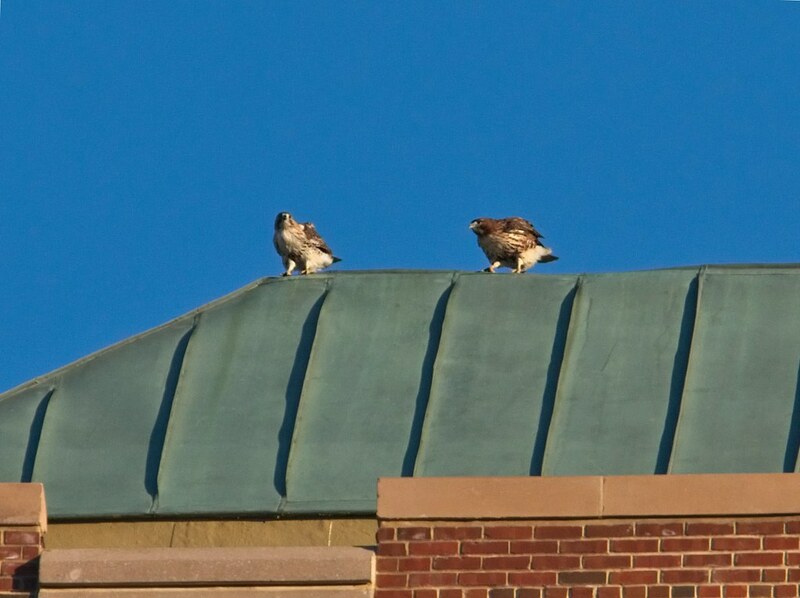 At sunset, Nora perched above the Boys Club on Avenue A and 10th Street. I lost track of all the hawks when the sun went down. 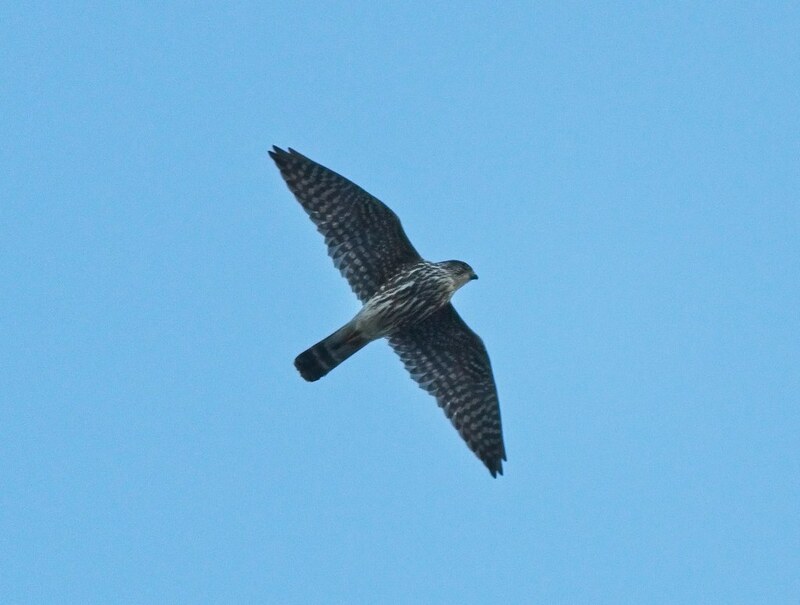 In related news, at least one Merlin has been spotted in and around the park recently. 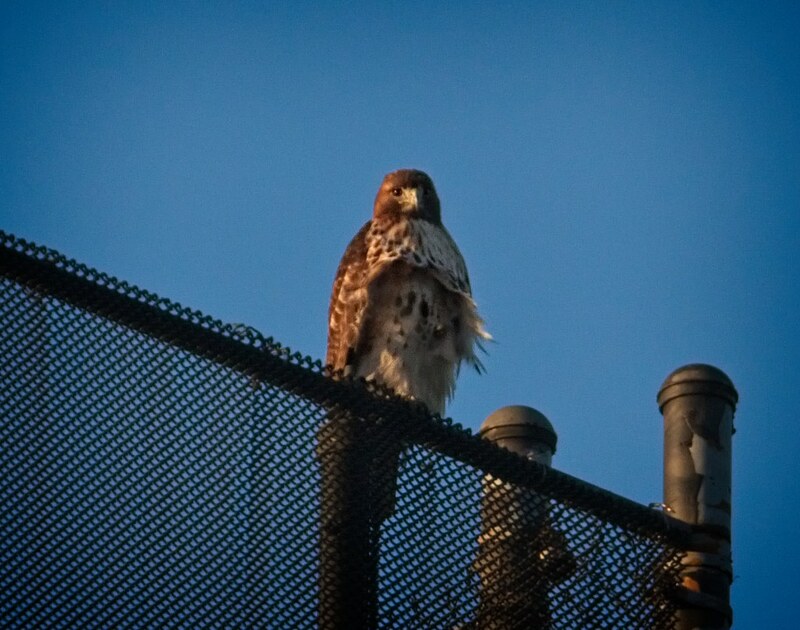 On January 6, one was perched on top of a building at Avenue A and 7th Street just after sunset. 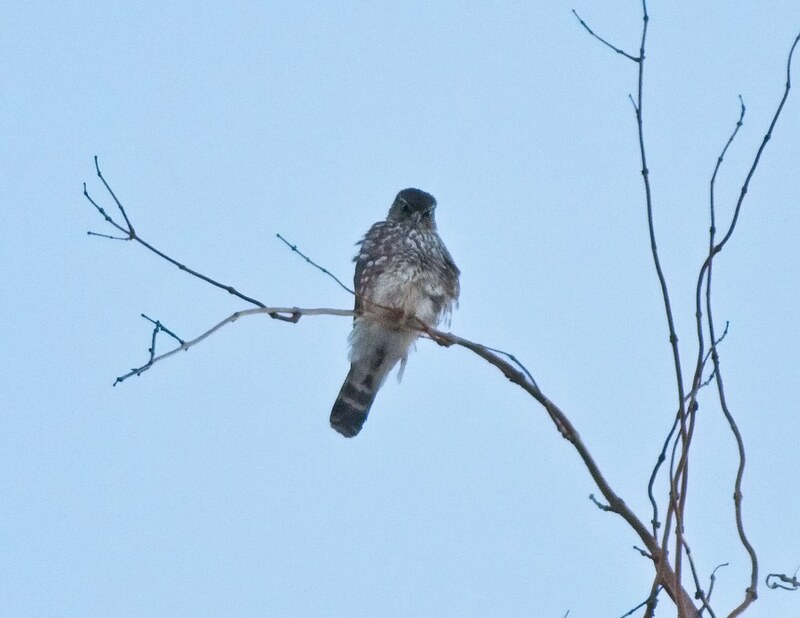 The last time I saw a Merlin in the area was January 2, 2016, almost exactly two years ago. Coincidentally (? 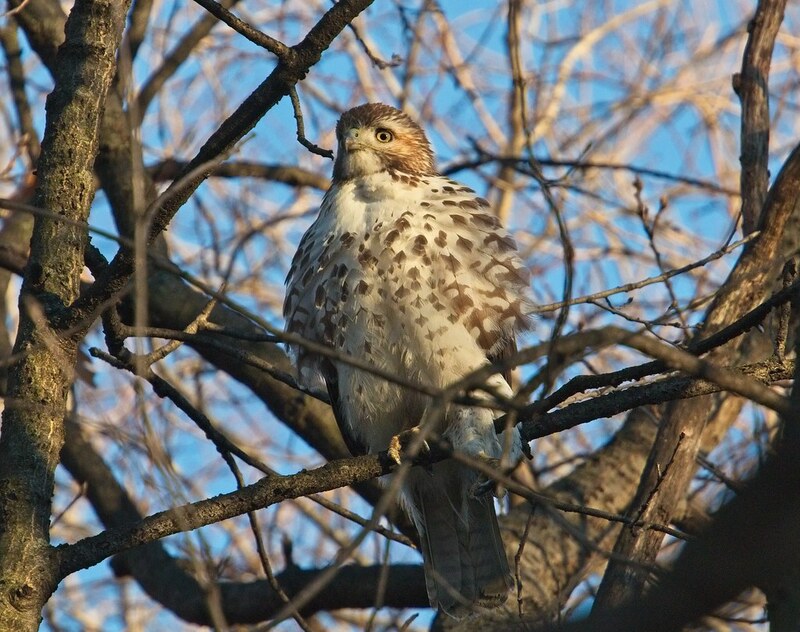 ), it was spotted at the same intersection and at the same time of day.